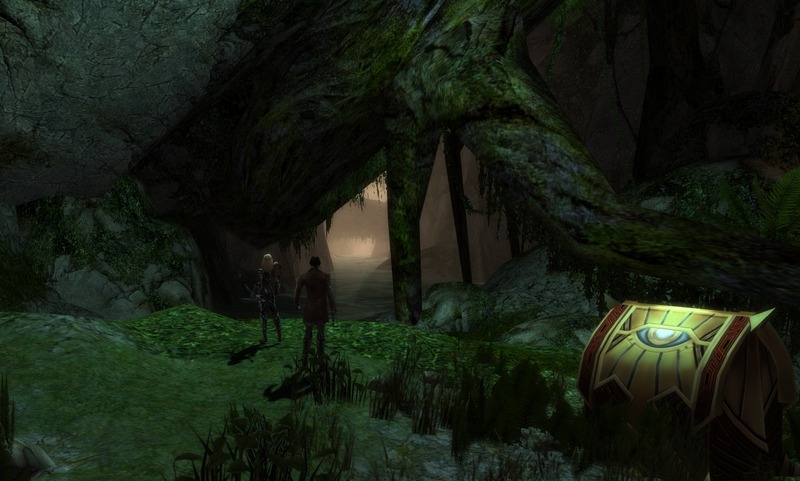 At the northern end of Sparkfly Swamp, Malory and I met two asurans arguing; Tekk and Giriff. Their troubles started when an experiment failed and caused the red Gokir heket tribe (which was helping Giriff) to be displaced into the territory of Tekk’s yellow heket Ophil assistants. 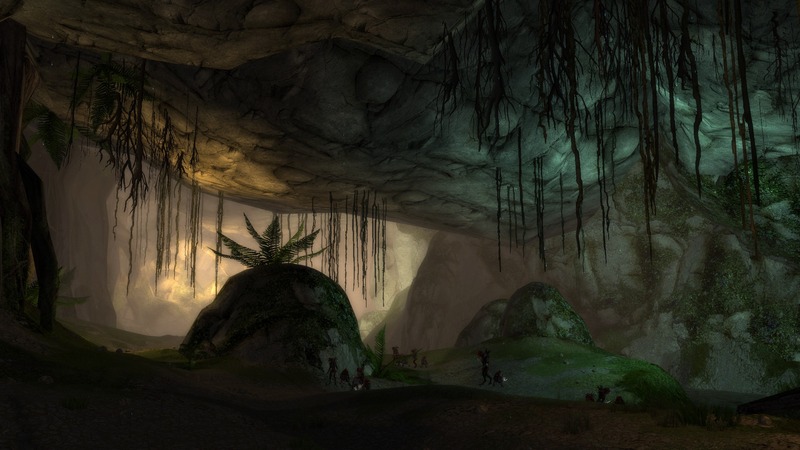 The two heket tribes began fighting over the territory and each asura wanted us to kill the opposing heket tribe so that their research could resume. I chose to take Tekk’s request, since I felt bad for the Ophil’s situation.Entering into these Bogroot Growths, the causalties of this territory war were apparent. Malory and I followed the trail of heket bodies to find our way to the front of the battle. Both of the heket tribes were filled with rage. We couldn’t talk to them and they fought us with all their strength. Tekk stood beside us, casting a few spells every now and then, but never being of much help. I thought about complaining about her lack of effort, but knew that she’d just demean me and call me a bookah. These depths are not only inhabited by heket, but also vicious plants. I’ve encountered this variety before, so it wasn’t much of a challenge. 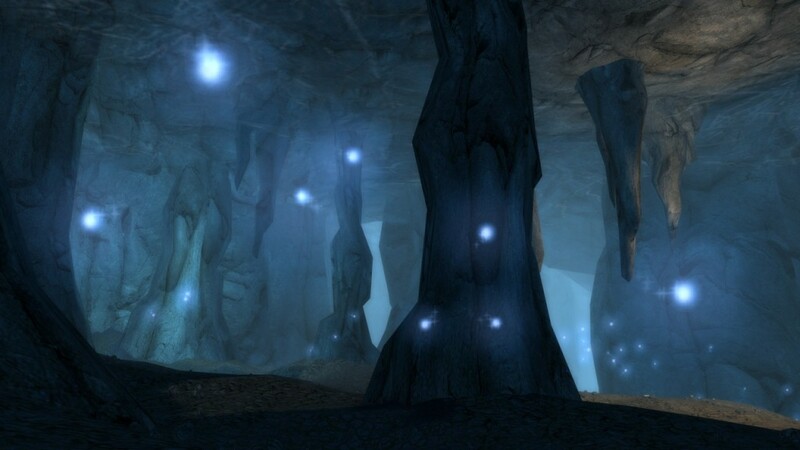 And looking around at their environment, the large tree roots are also nothing new in the depths. Malory and I encountered a similar sight in Rragar’s Menagerie. Nearing the end of the first area we found this beautiful large tree. After killing more vicious plants, I took a few moments to admire this last area before moving onto the second level. Entering the second level, we encountered more vicious plants with no sign of heket in sight. 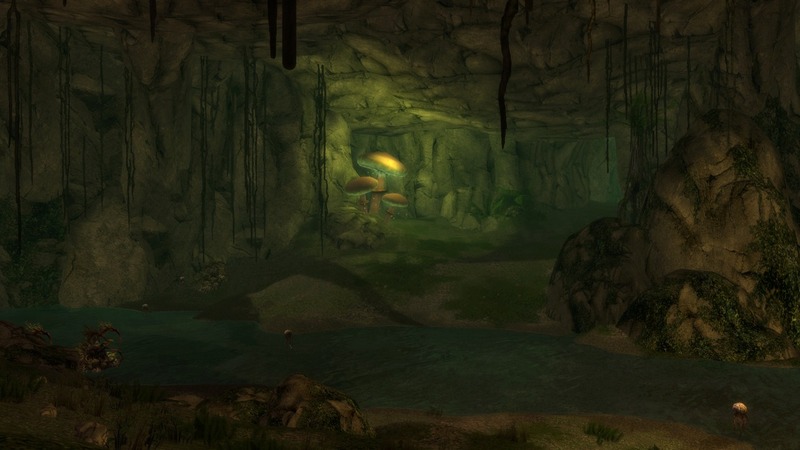 Our starting area was filled with huge mushrooms that emit glowing spores. 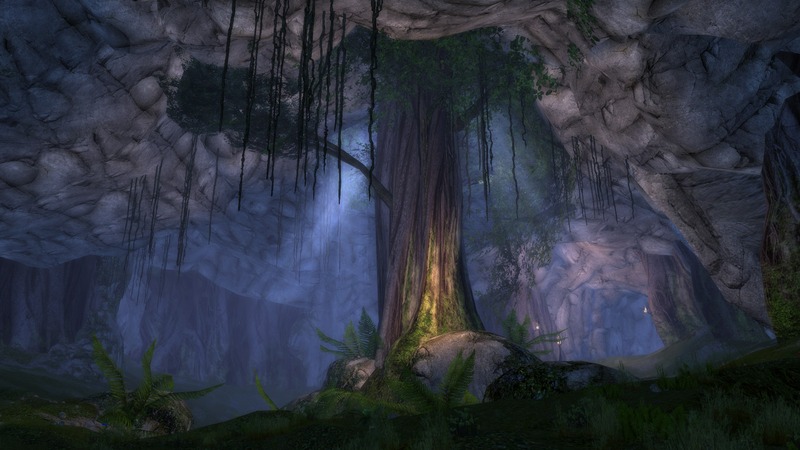 I’ve seen these on numerous occasions on my trips through the Depths of Tyria. The mushrooms were not the only plantlife here to emit spores, as we encountered more vicious plants in the shallow waters. As I’ve mentioned before in the Vloxen Excavations, these particular vicious plants repopulate by creating large spores. This enemy can be a hassle for any adventuring party because they can quickly outnumber you. So it is best to eliminate the vicious plants that replicate first, and then worry about their spores later. 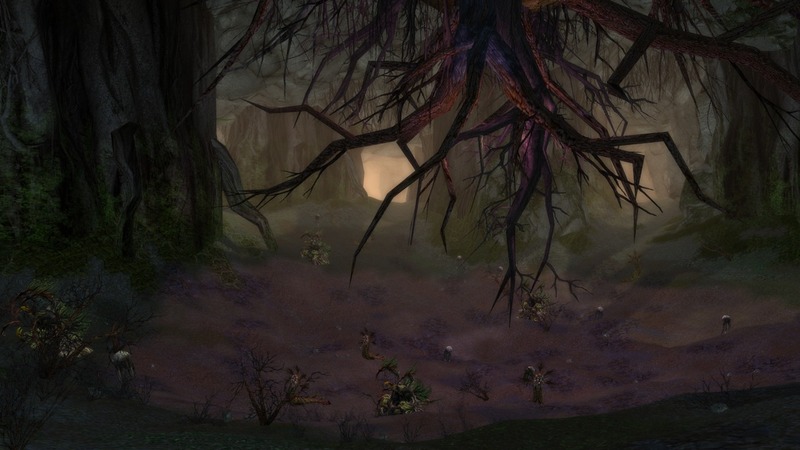 The next area was filled with more vicious plants, with the addition of incubi and large beetles later on. 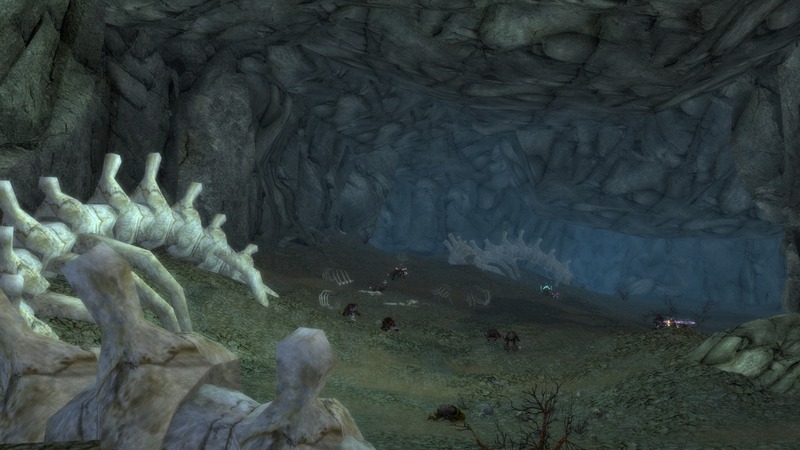 The incubi frustrated our spellcasters, but they are easy to deal with so long as you pass through here slowly and keep an eye out for large gatherings of enemies. With this area clear, Malory and I took time to watch the fireflies. They are not uncommon in Tyria, but always a delight to spot. After encountering nothing but angry plants this whole time, finding the two warring heket tribes was a relief. I was beginning to think Tekks brought us in the wrong direction. We jumped into the fight and helped turn the tide of battle. The Gokir brought in a tougher member of their tribe, but Malory’s mesmer magic interrupted it’s spells before it even became a threat. At this point, the fighting between the Gokir and the Ophil had become a common sight. 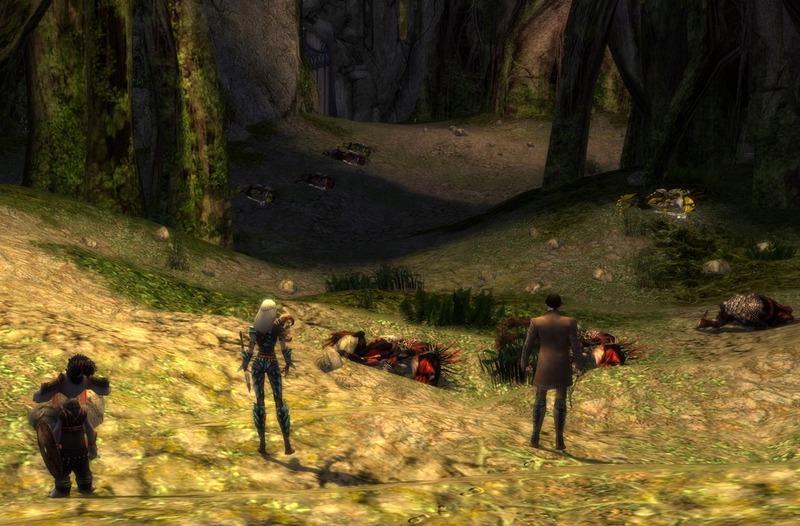 Malory and I continued to help the Ophil on our path to the Gokir leader. 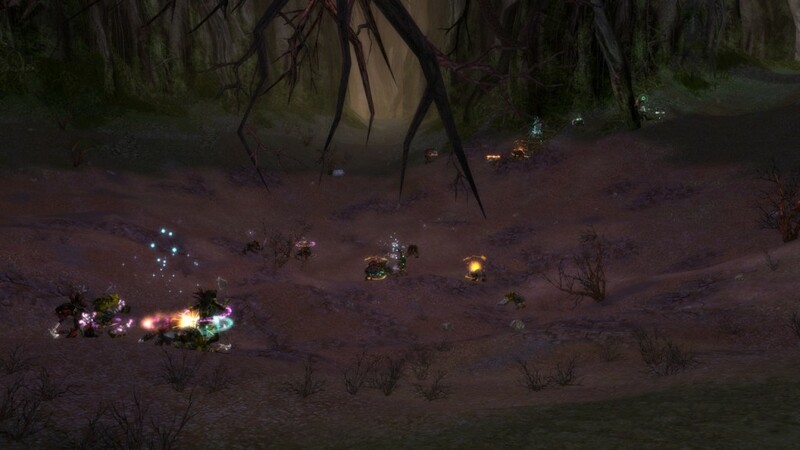 With no where else run, we cornered Z’him Monns and his Gokir tribe at the end of Bogroot Growths. We fought with caution, and made sure not to stay in Z’him Monns’ spirit rifts. When you deal with these type of monster leaders, a somewhat powerful spell or attack becomes deadly in their hands. With the death of Zhimmons, the other Gokir should be leaving to find a new home. I’m not entirely satisfied with today’s result, but knew that without my intervention the heket would still be fighting to the death. Tekks was quite pleased with our results and couldn’t wait to work with the Ophil once their rage subsided. Malory and I took our reward and enjoyed a quiet moment by a river.